Online registration is now closed – Tickets for Saturday night can be purchased on the door. Lindy Hoppers Delight is a weekend of intensive Lindy Hop instruction under the tutelage of our very special guest instructors Kevin and Jo They are true legends of the modern Lindy Hop scene, and we feel very privileged to be hosting them here in Birmingham for the very first time. 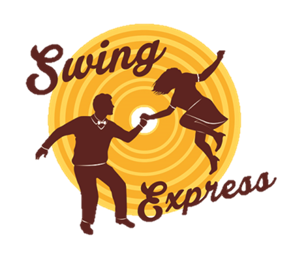 The event will include 10 hours of instruction with Kevin and Jo and a Saturday night dance featuring live music from the fabulous Jive Aces. During the workshops students will be working with their own partner. We believe this is a great way to facilitate the learning experience as well as inspiring students to practice and continue working on the material after the weekend is finished. All workshops and our Saturday night party will be held at the Moseley Dance Centre, Moseley Rd, Birmingham B12 9AA. The Saturday night dance starts at 8.30pm and you can buy a ticket below or on the night at the door! Renowned worldwide for their high-energy spectacular showmanship, their viral video Bring Me Sunshine and for being the first live band to reach the final rounds of Britain’s Got Talent, The Jive Aces have firmly established themselves as the UK’s No.1 Jive & Swing band.